Hormel Foods Corporation (NYSE: HRL) today announced it has been recognized by Forbes on its World’s Best Employers 2017 list. The Forbes World’s Best Employers list is based on Forbes’ 2017 Global 2000 rankings, which featured public companies from 58 countries that together accounted for $35.3 trillion in revenue. Forbes partnered with Statista to compile the list in which more than 360,000 global recommendations were analyzed. Employees were asked to rate their own employer and the likelihood they would recommend the company to a friend or family member. They were also asked to recommend other employers they admired. Hormel Foods was also recently recognized as one of the 50 Best Places to Intern in the U.S. by Vault and was awarded a silver Stevie Award as an Employer of the Year in the food and beverage category. In addition, the company has been on the Best for Vets Employers List by Military Times for five consecutive years and on the 100 Best Corporate Citizens List by Corporate Responsibility magazine for nine consecutive years. 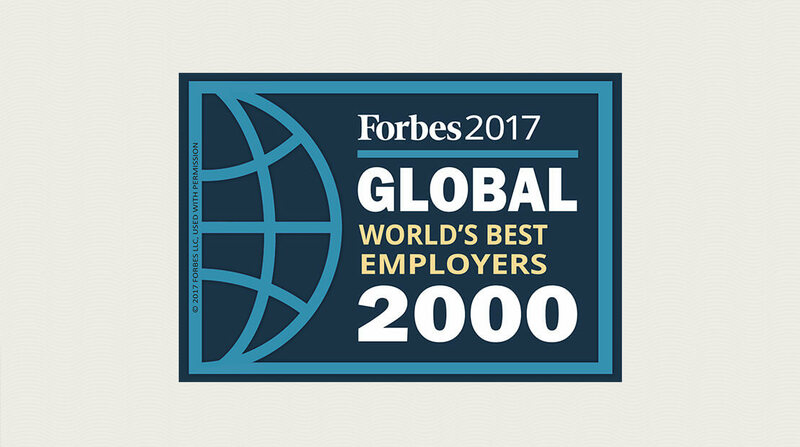 To view the complete Forbes World’s Best Employers list, visit https://www.forbes.com/sites/kristinstoller/2017/10/10/worlds-best-employers-2017/#7dbddac22a01. Hormel Foods Recognized by Forbes on Top Regarded Companies List Hormel Foods has been recognized by Forbes on its Top Regarded Companies 2017 list.